There’s a reason that Home, Like Noplace Is There is one of the years most anticipated releases, and thankfully the hype that surrounds it is entirely justified by the nine tracks that feature. Tiny Engines have a reputation for only releasing great music and The Hotelier’s sophomore release is probably the best they’ve put out, easily surpassing These Are Good People and Broad Shoulders, at least for me anyway. That’s high praise in itself, but The Hotelier (formerly The Hotel Year) really deliver at every opportunity. Home, Like Noplace Is There is refreshingly unrestrained. It’s both vulnerable and volatile, often flickering between the two on a whim. Some songs undergo numerous changes in pace and intensity, allowing the band to either sit back or erupt forwards. It makes for a record that’s full of surprises, and one that merits numerous listens, if only in an attempt to really take it all in. The nine tracks that make up Home, Like Noplace Is There are all different, mixing a number of styles into one whole package that frequently impresses. Opener and aptly named An Introduction To The Album begins with a foggy intro before vocalist Christian Holden comes in with the line ‘Open the curtains, singing birds tell me tear the buildings down ‘ over simple guitar work. With this one line The Hotelier begin to open themselves through their music, and it marks the beginning of an exceptionally written commentary on modern life, which the band paints brilliantly. From here the song slowly unfolds bit by bit, before finishing on an exuberant climax as it bursts into life amidst crashing drums and harsh yet melodic vocals. As far as openers go, you’d be hard pushed to find a better one, and it sets a bar that the majority of the following tracks match. The two that do follow it are also two of the records shortest, and each takes a different approach. The former of the two and previously teased The Scope Of All This Rebuilding takes the head nodding band dynamic of the openers climax and stretches it out under shouted vocals, relaxing to catch a few breaths before switching the tempo. In Framing slows things during the verse whilst offering up a big chorus, chugging along on the back of a great bass riff also supplied by Holden, making for a catchy and energetic punk rock song reminiscent of The Menzingers. The longest and most expansive track on Home, Like Noplace Is There falls bang in the middle in the form of Among The Wildflowers and it’s also one of the best tracks, blossoming from a subtle guitar build-up into a gorgeously textured narrative. Opening with the life ‘You were born on a leap year, fill in the gaps’ it continues to tell a story through passionate vocals and emotive lyrics, capturing The Hotelier at their unrivalled best. The sudden change in pace it undergoes at the mid-way point is elegant, almost making for two equally compelling songs with a singular touching account. Closer Dendron sees the record out in emphatic style, featuring some of the most memorable drumming from Sam Frederick and pairing it with the same catchy bass and melodic climbing guitars that complement each other so well. The crescendo that the closer features is one of the many standout moments, superbly capturing emotion and expressing it in a way that only music of this nature can. The Hotelier go out swinging, and they do so with their hearts on their sleeves. The previously streamed Your Deep Rest is another highlight and personal favourite, offering some of the albums more personal lyrics alongside some of its best instrumentals. The way it drops off for some of the better lines and sparks into life for the chorus is superb, and on this track especially Christian Holden is excellent as he sings ‘I found the note you left behind / Little hints and helpless cries / desperate wishing to be over.’ As he was on their debut, Holden is great throughout and thoroughly engaging. His vocal style is suitably unpolished, and he gives everything in his delivery, covering a range of emotions and styles brilliantly. Be it the harsh Touché Amore style screams of Life In Drag or the hazier sentimentality of Discomfort Revisited he manages to make a listener feel exactly what he feels, and in doing so adds something to The Hotelier’s music that makes it all the more absorbing and affecting. Lines like ‘I called in sick from your funeral / The sight of your body made me feel uncomfortable’ are delivered with the utmost sincerity and makes Your Deep Rest one of the records more memorable entries. Lyrics like these are scattered throughout Home, Like Noplace Is There and it’s another area in which the record excels. From the poignant storytelling of the opener to the emotional regret of Dendron the writing is excellent, most so on seventh track Housebroken which tells the story of an abused dog from a sympathetic viewpoint. It’s a unique track which evolves into much more as it progresses. What starts as a bystander observation of animal cruelty eventually transcends animals all together and instead suggests that maybe a tethered life is better, as Holden sings ‘I’m just slightly nervous of what I might do if I were let loose… / So as I bear my teeth, I will ask of you please to leave’. The record encourages exploration, to see how well music can cover certain scenarios, and through excellent writing makes them rousing and relatable, in both the records mellower and more gut-wrenching moments, of which there are plenty. Home, Like Noplace Is There is painfully honest in the best way in that it holds nothing back when it comes to letting go, and it’s a record to find both comfort and heartache in in equal measure. It’s exactly the record I wanted it be and so much more at the same time. Individually each track is extraordinary, and taken as a whole it’s an incredible listen that sees the Worcester natives tick all the right boxes, and do so in an exuberant fashion. 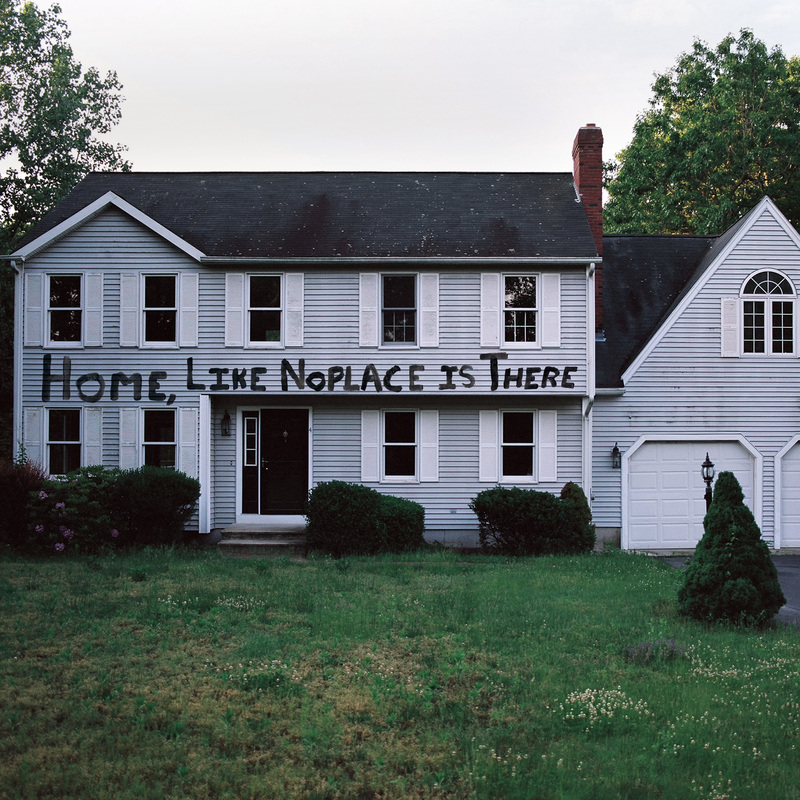 Simply put, Home, Like Noplace Is There is a monumental record in every sense of the word, and it’ll take some beating.